*note: photo eye and reflector may differ in appearance from what is received as DIYGateOpeners.com uses a few sources for our brand, but quality and performance are always the same. 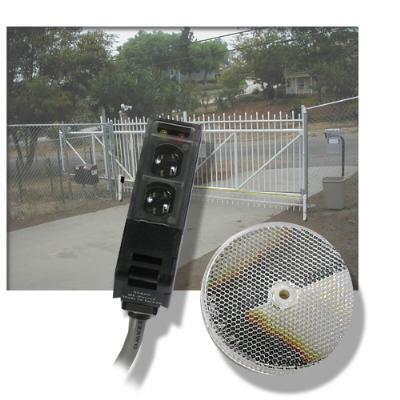 The NIR retro-reflective photoeye can be used as a reversing sensor for commercial overhead doors, gates, and parking barriers. Compact design, mounting hardware and indicators make it easy to install. Water-tight design allows for outdoor installation. *Beam is not actually visible; it is displayed yellow in the above picture for informational purposes.